The history of the Etihad stadium is impressive given that it is a fairly young venue. Located in the heart of Manchester centre, Etihad is one of the largest football stadiums in the country (not quite as big as the huge Wembley Stadium) and has seen considerable success on the pitch. The Etihad Stadium, or Eastlands as it is also known, is the home of MCFC and has been since 2003. Many people see MCFC as rivals to Man United, who’s home is Old Trafford. You can find out about the history of Old Trafford on our site too if needed! Construction began in the year 2000 at a cost of £112 million and it was originally an athletics venue to be used in the 2002 Commonwealth Games. After the success of the games, the owners of the grounds, Manchester City Council, were worried about it being a white elephant, so they spoke to Man-City about the possibility of converting it into their new home. The City of Manchester Stadium was a 38,000 capacity athletics venue purpose built for the Commonwealth games. The named subsequently changed to The Etihad-Stadium when MCFC were the subject of a buyout from the Abu Dhabi United Group in 2008 for £210 million. Since the owners also have a controlling share in Etihad airways, they rebranded the grounds with the Etihad name and they also appear as the shirt sponsors. The ground is still known as The City of Manchester Stadium on occasions when sponsorship issues arise. 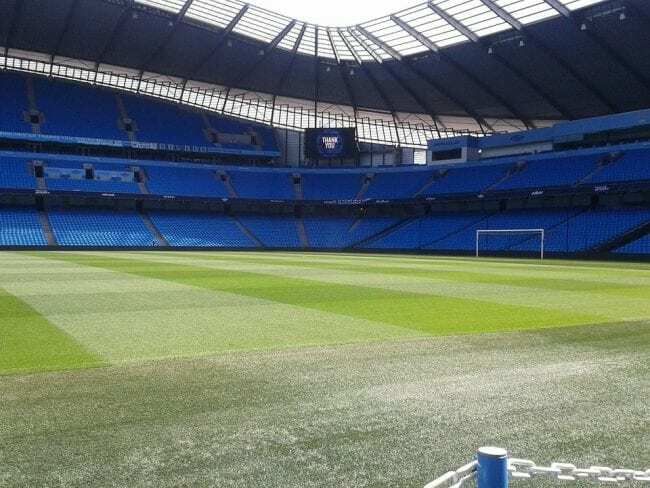 Etihad Stadium capacity was increased to 48,000 before Manchester City moved in. 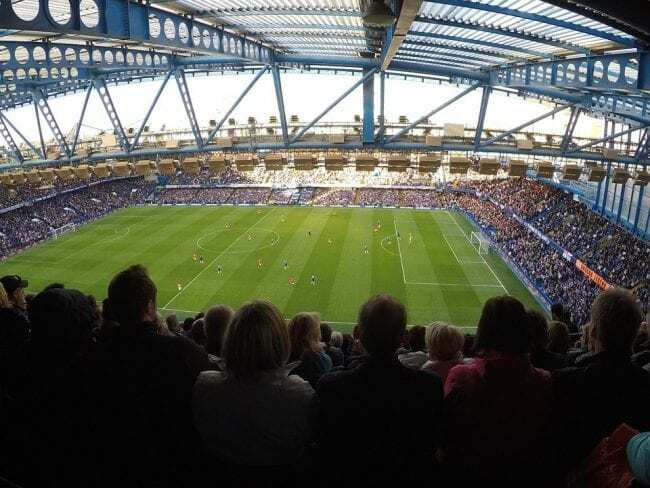 Since then, further remodelling has taken place and it currently has a capacity of 55,097 which makes it the fourth largest sports ground in the Premier League and the eighth largest in the United Kingdom. This means a lot more people can fit in the arena when compared to stadiums like Selhurst Park Stadium at only 25,000. The history of the Etihad is a prosperous and inspiring read, but it’s worth remembering that although Manchester City have enjoyed most of their success since moving to Etihad, there is still a lot of history, love and nostalgia for their previous home of 80 years, Maine Road. It was known as ‘The Wembley of the North’ due to its high capacity of 88,000 in the early 1930’s. The Kippax Stand where the most vocal supporters would watch the game was also the highest stand in the country prior to its demolition. The name is so beloved that the East Stand at Etihad is unofficially known as The Kippax. Manchester City FC have seen a dramatic turnaround in fortunes since their move to the grounds. While they did have some success in the late 1960’s and early 1970’s, a barren spell lasting almost 30 years would follow. In the past decade, the new owners have invested heavily in the squad, attracting top players and managers and it has paid off handsomely. Not only have City won major trophies under their watch, but they are now also valued at $2.08 billion, making them the fifth-most valuable football club in the world. The Man-City trophy room looks a lot healthier than it used to. A full list of honours can be found here https://www.11v11.com/teams/manchester-city/tab/honours/. Perhaps their greatest moment was beating local rivals Manchester United to the Premier League title in 2012. United had won their game and had all but sealed victory – Man-City were still playing and were drawing 2-2 with QPR and needed a win to secure the title for themselves. In the 92nd minute of the game Sergio Aguero netted home to give Man-City the title with less than 30 seconds of the season remaining. If you wish to place a bet on Man-City winning another trophy, make certain to check out our football betting tips for some guidance. https://www.mancity.com/fixtures/first-team is the place to go to see who City’s next domestic or league game is against. 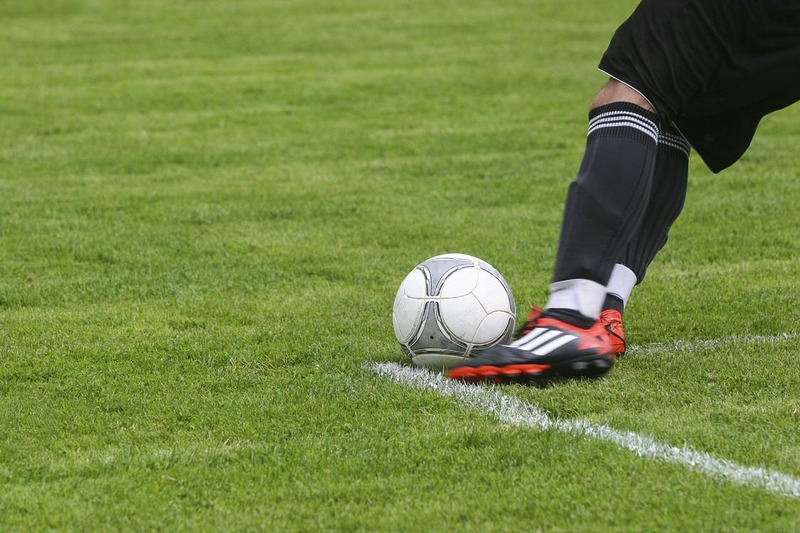 Man-City fixtures are popular games to have a bet on, especially when they play local rivals Manchester United. The MCFC Stadium broke ground in 1999 and is known as the Etihad-Stadium. MCFC did not become tenants of the grounds until 2003. Since then the grounds has undergone conversions and expansions to meet the requirements of MCFC. MCFC have a long and illustrious history and you can see that for yourself with a ticket to the MCFC stadium tour. You can even make it more fun my incorporating some football betting! If you can, why not experience game day yourself and watch the history of the Etihad being written before your eyes?